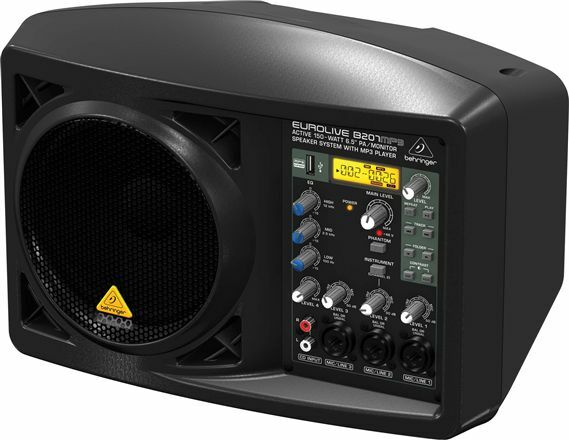 Shop Behringer Eurolive B207MP3 Powered PA Speaker from AMS with 0% Interest Payment Plans and Free Shipping. 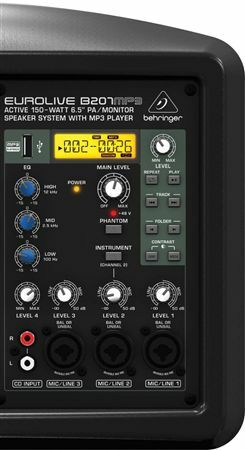 Behringer B207MP3 PA/Monitor speaker features a 4 channel mixer with EQ and an onboard MP3 player. Now you can play your favorite tunes right from a USB stick. 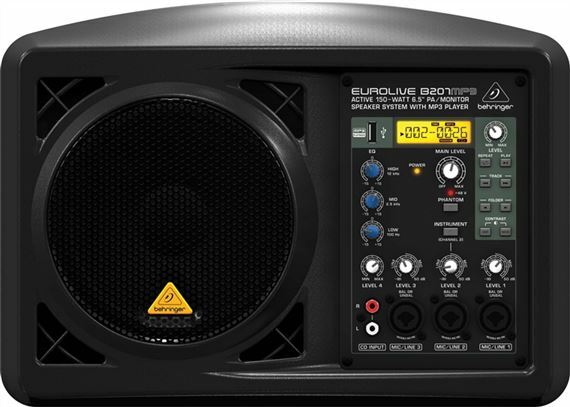 Plus the Eurolive B207MP3 system is so light you can mount it on a mic stand and aim it right at your ears.But don't let the small size fool you-the B207MP3 cranks out truckloads of high-quality sound; more than enough to serve as a PA system for your more intimate gigs and meetings-and it comes packed with features that will simply blow you away! 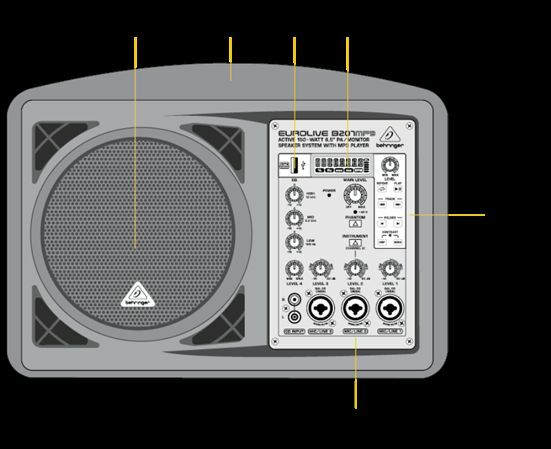 Thanks to our revolutionary Class-D amplifier technology and internal switch-mode power supplies, not only do B207MP3 loudspeakers sound great, they weigh considerably less than most competing active speakers. 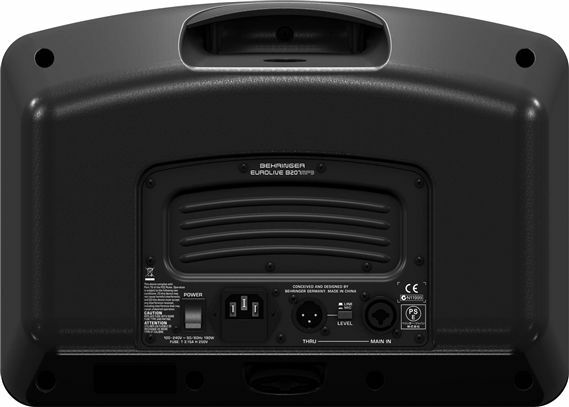 They pump out 150 of the cleanest, punchiest Watts you’ve ever heard from a compact loudspeaker, and you can link additional active loudspeaker systems via the handy THRU socket. The built-in 4-channel mixer accepts XLR, TRS and RCA inputs, plus channel 2 features a switchable instrument-ready input—no DI required! 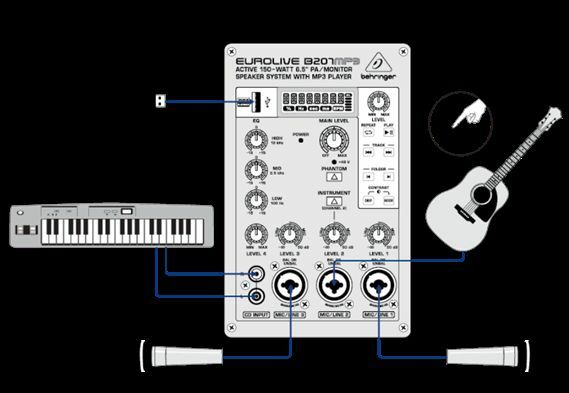 A dedicated 3-band EQ (Low/Mid/High) provides simple, yet effective tonal control. 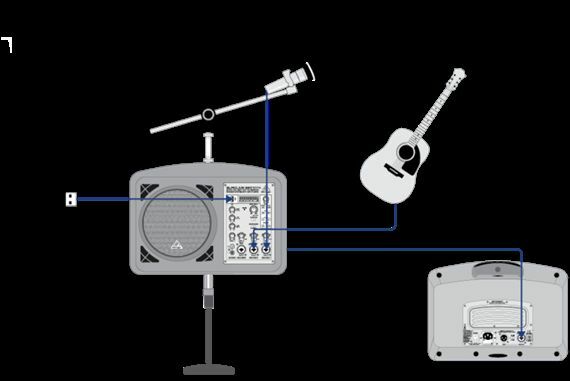 Space limitations often make it impossible to place full-sized monitor wedges where they can do the most good—and passive monitors require lots of external amplifiers and processing gear to function properly. All this adds up to even more gear to move, and if you don’t know what you’re doing, you can easily damage passive monitors by applying too much, or even worse, too little power to them. With the B207MP3 we’ve taken all the guesswork out, giving each loudspeaker its own 150-Watt, Class-D amplifier specifically designed as the perfect mate for the custom-engineered 6.5 inch neodymium driver. Let’s face it; the drivers (otherwise known as speakers) are the only part of a sound system you actually hear.So when it comes to ours, we don’t cut any corners. 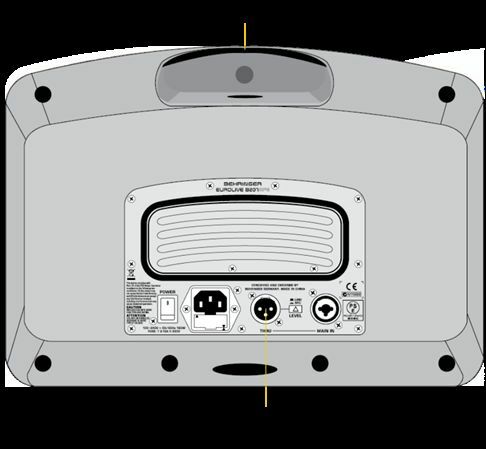 While some of our competitors outsource theirs, we custom-design and build our speakers from scratch. We wind our own voice coils,process the paper pulp into cones and even machine our own speaker back plates and frames. This enables us to control the quality, keep production costs down and frankly, to make better components.The premium-grade, full-range 6.5 inchneodymium driver was designed specifically, and optimized solely,for use in the Eurolive B207MP3. It is more than awesome period! I own two of them and has taken them all over the country using them as pa’s. The bass is strong.The Es is great and you can adjust the sound any way that you want it. I am going to buy 2more. I have various types of PA for various types of functions. I know for a fact that just one of these can be heard at the Hilton in conference rooms with a little over 100 guests there and heard well. I am thinking about purchasing the bt500 p a system.Were thinking about getting the 2 behringer wireless mics.The reviews on those aren’t good. Best little sound system ever! I use it as a personal monitor for live gigs, additional speaker for home studio. Easy hook up to tv for awesome sound! Mp3 player (plays from USB memory stick) just icing in the cake!!! Absolutely LOVE THIS THING!! !